The Chicago Bears have hired Deshea Townsend as their new defensive backs coach. 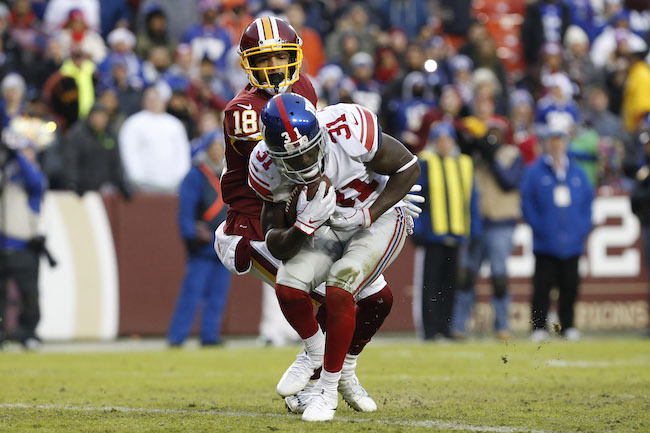 The 43-year old Townsend had served as the New York Giants’ assistant defensive backs coach under Head Coach Pat Shurmur and Defensive Backs Coach Lou Anarumo. 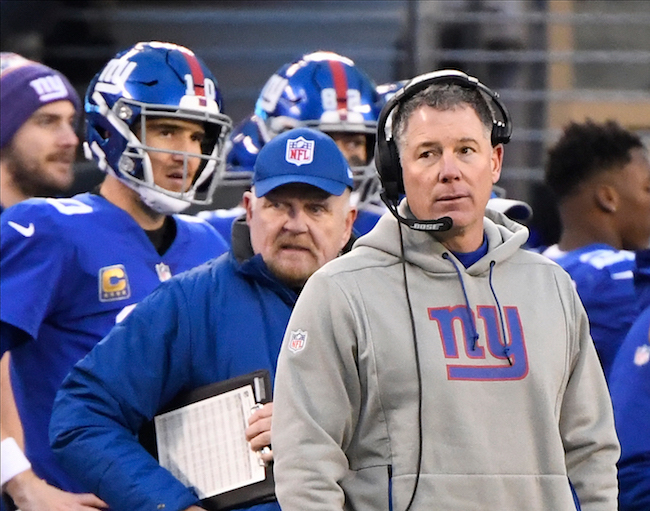 Townsend joined the Giants last year after serving as the defensive backs coach of the Tennessee Titans in 2016-2017. He was an NFL cornerback for the Pittsburgh Steelers (1998-2009) and Indianapolis Colts (2010). 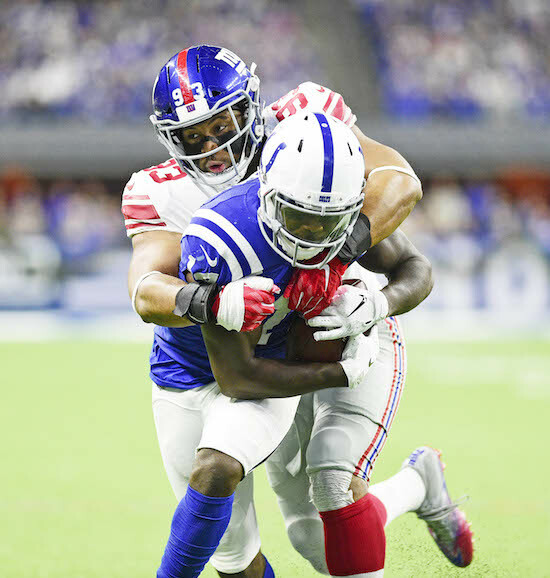 New York Giants safety Michael Thomas will play in the Pro Bowl as the team’s special team player as a replacement for Los Angeles Rams linebacker Cory Littleton. Thomas was elected as a first alternate to the Pro Bowl last month. This is the first time Thomas will play in the NFL’s all-star game, joining teammates running back Saquon Barkley, place kicker Aldrick Rosas, and linebacker Olivier Vernon (also a first alternate). 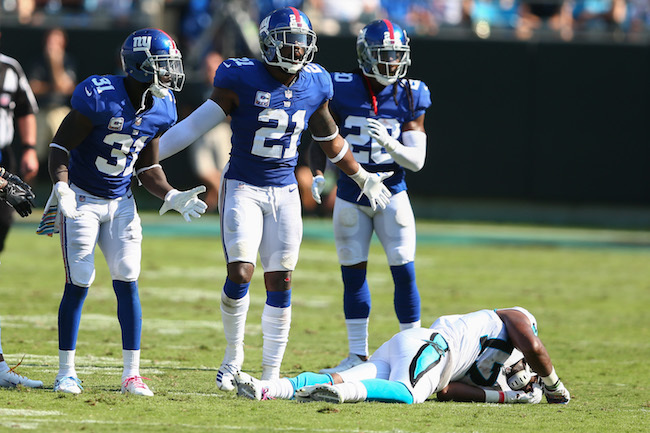 Safety Landon Collins was also elected to play, but he will not do so as he is recovering from shoulder surgery. Not practicing on Wednesday were wide receiver Odell Beckham, Jr. (quad), wide receiver Russell Shepard (ankle), tight end Rhett Ellison (concussion), defensive end Mario Edwards (calf), and linebacker Alec Ogletree (concussion). Wide receiver Sterling Shepard (hip), center Spencer Pulley (calf), and linebacker B.J. Goodson (foot) were limited in practice. Defensive end Kerry Wynn (thumb) fully practiced. 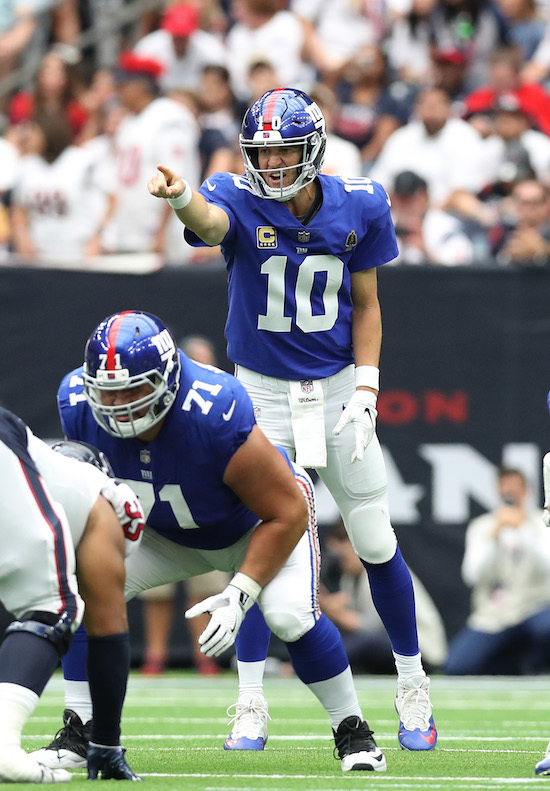 The Giants practice again on Thursday and Friday in preparation for Sunday’s game against the Dallas Cowboys. Not practicing on Wednesday were safety Landon Collins (shoulder), linebacker Lorenzo Carter (hip), and linebacker Tae Davis (ankle). 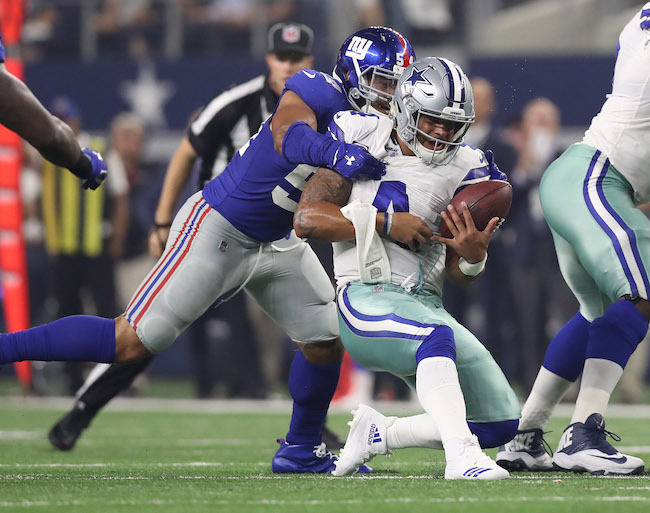 The Giants announced late Wednesday afternoon that Collins will undergo season-ending surgery to repair a torn labrum in his shoulder. 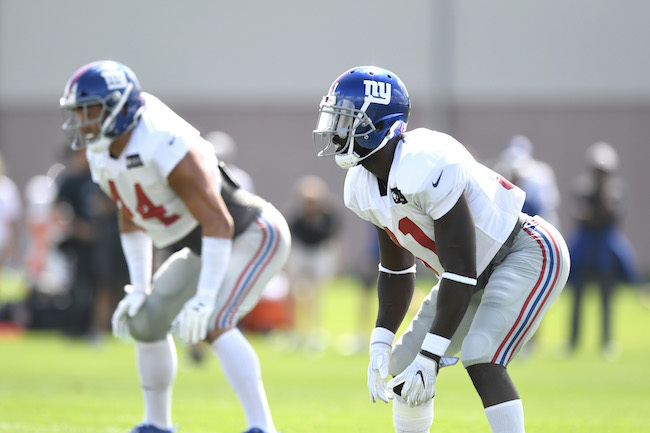 Tight end Evan Engram (hamstring), wide receiver Sterling Shepard (rib), and linebacker B.J. Goodson (neck) practiced on a limited basis. 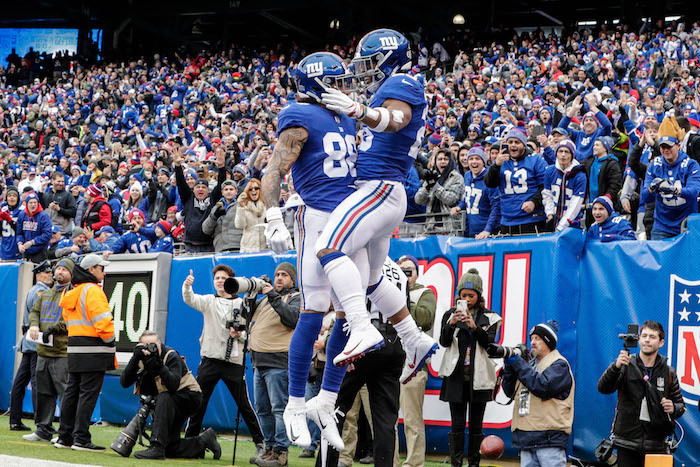 New York Giants place kicker Aldrick Rosas has been named the “NFC Special Teams Player of the Week” for his performance against the Chicago Bears last Sunday. Rosas not only kicked a team-record, 57-yard field goal in the the game, but he also kicked what turned out to be the game-winning 44-yard field goal in overtime. He also kicked a 37-yard field goal in the 4th quarter. 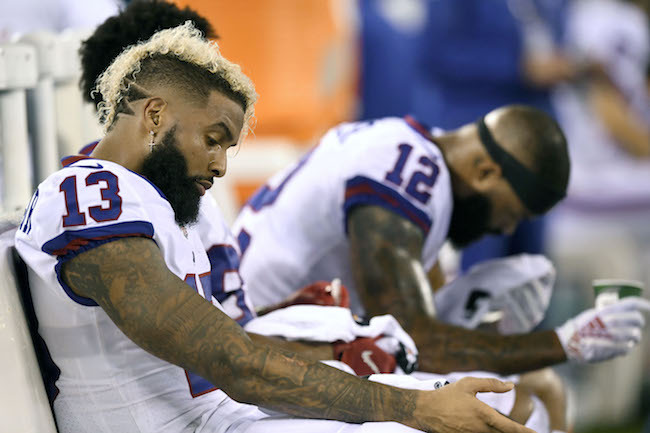 The Giants practice again on Thursday and Friday in preparation for Sunday’s game against the Washington Redskins.